Institches with Bonnie: A Finish! Here it is -- a finished quilt. The blocks were lotto blocks from a retreat several years ago. Sharon and I combined ours. 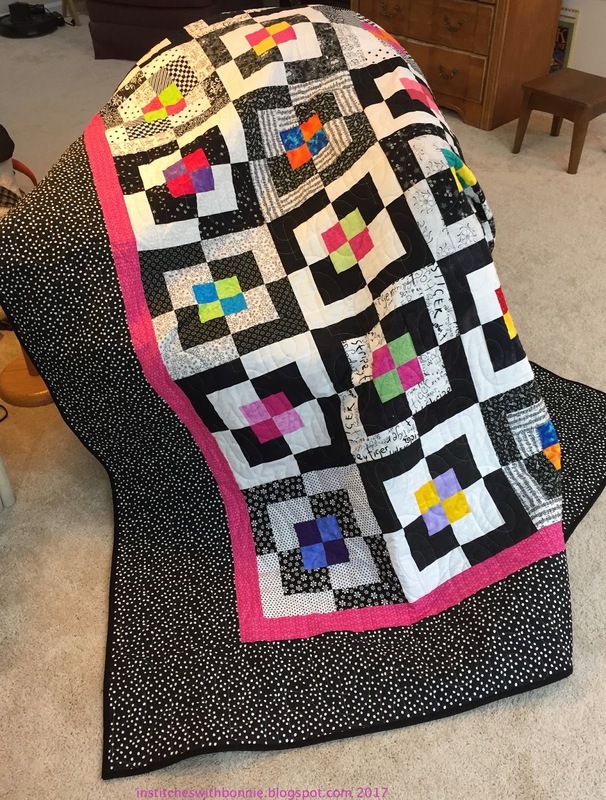 She put the quilt together and added borders. I quilted it and did the binding. It is being donated through our Maryland guild. Because it is a twin size I don't know if it will go to Project Linus or some other organization. Sorry I don't have a full on picture -- we just don't have a lot of places that I can get far enough away. And, it's rained so much recently the backyard is soggy. I'm heading up to Sharon's house for a weekend of sewing. Saturday we're taking a bargello class. I have my strata from the 199?s that has now been ironed. I may be taking some of the strips apart and redoing them as the strips are slightly gathered. Ugh. Look for future pictures and info on this. That's it for me today. I need to get breakfast, get dressed, packed and on the road. I'm linking up with Needle and Thread Thursday. I hope to have some time later today to look some blogs to see what folks are working on. 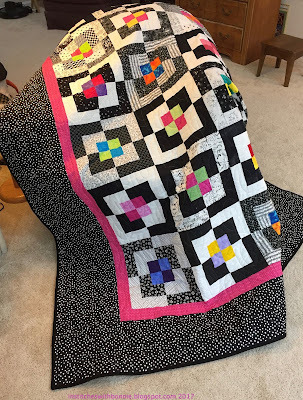 Your charity quilt is absolutely gorgeous! I know it will be well loved. Love your quilt. Hope you enjoy your quilty time with your friend. 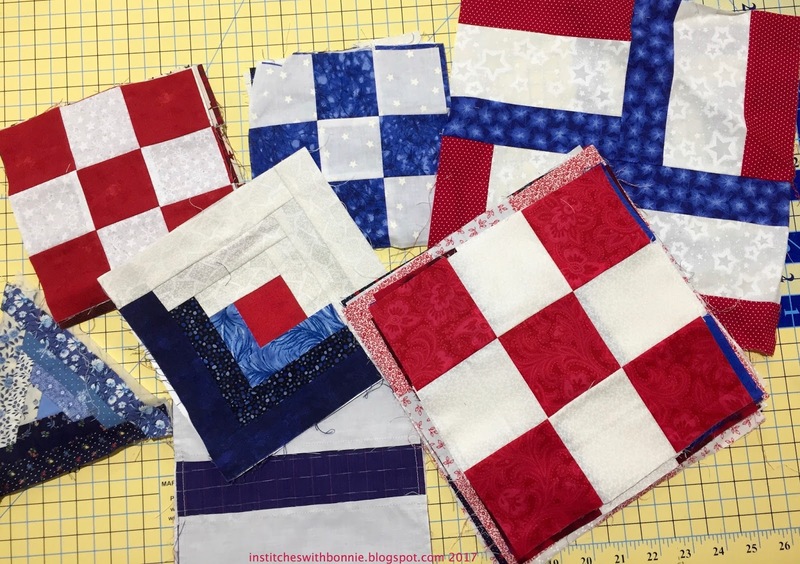 You and Sharon make a great team - love the Lotto Block quilt and eager to see the quilt(s) from the R,W,B blocks. Safe travel and have fun. What nifty blocks! And congratulations on a finish. Enjoy the weekend! Do you by chance have the pattern for that block? Congrats on the finish. Love the bright pops of color with the white and black. Enjoy your sewing weekend!